I’ve been able to make a comparison between Apple’s device and Amazon’s Kindle. The brief answer is: for periodicals such as digital papers and magazines, the iPod is better; for books, the Kindle still wins. I’ve written before about the experience of reading papers such as the FT and the Wall Street Journal on a Kindle and have come across devoted readers – mainly senior executives in global companies – who are attached to reading the FT on their Kindles. The advantages are that the daily edition gets delivered to your device, rather than to your doorstep, which is easier for road warriors, and you can read all of the print content conveniently. However, for the periodicals I’ve so far read on an iPad (the FT’s iPad app is due to be launched at the end of this month to coincide with the iPad going on sale outside the US) there is no contest. The iPad experience outperforms the Kindle. One reason for this is the iPad’s colour screen, which allows photos and graphs to be displayed much more attractively. The Kindle’s E-Ink screen, with its many shades of gray, looks dull by comparison. 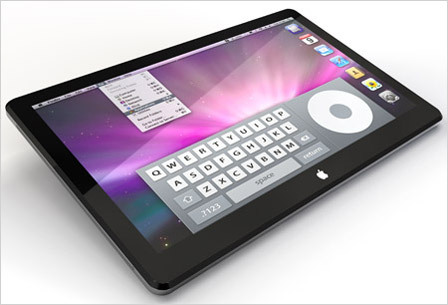 Second, it is easier to navigate on an iPad because of its touch screen. It is much simpler and faster to flick among articles using the on-screen navigation than to click the physical buttons on the Kindle and wait for the screen to refresh. This makes the iPad the first true substitute for print editions, even if the current media apps lacks some of the advantages of online editions, such as the ability to comment on stories. Finally, the iPad editions update regularly throughout the day, unlike most Kindle versions, which tend to be drawn from syndicated version of the print edition. The stripped down “editor’s choice” version of the New York Times, for example, gives a selection of intra-day stories. For books, however, the iPad still lags. The biggest problem is one that it can do nothing about – its backlit LCD screen, which puts more strain on the eyes and makes it harder to lose oneself in a book that is filled with text. Graphic novels and comics look good on the iPad, and it’s no coincidence that the book given away free on the device is Winnie-the-Pooh, with its lovely “decorations” by Ernest Shepard. But trying to read a standard book on an iPad is a different matter. I read a few pages of The Lovely Bones by Alice Sebold on my iPad the other night (using the Kindle App that I’d downloaded to it). After 15 minutes or so, I gave up and reverted to the Kindle. The Kindle app, which is superior to Apple’s own iBooks app for reading text, attempts to mimic the E-Ink technology by allowing the text to be displayed on a sepia background. But even this does not make the experience as immersive as the Kindle itself. So, as things stand, I would have to carry around not only a Nexus One phone but an iPad and a Kindle if I wanted to satisfy every mobile need. Roll on the media singularity. This entry was posted in technology and tagged Apple, Ipad, Kindle, technology. Bookmark the permalink. The new global marketplace is more complicated, does it worth it?